This dress has small pearl beading and small apricot/peach colored flowers on the bodice, down the back of the skirt and along the trim. It is two pieces, bodice and skirt, and also comes with a matching wrap that has edging to match the bodice. 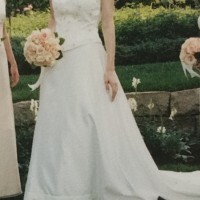 It was made for a 6’4” bride who wore 1” heels and the dress came to the floor - it was made with significant extra length so can be tailored to fit any length. 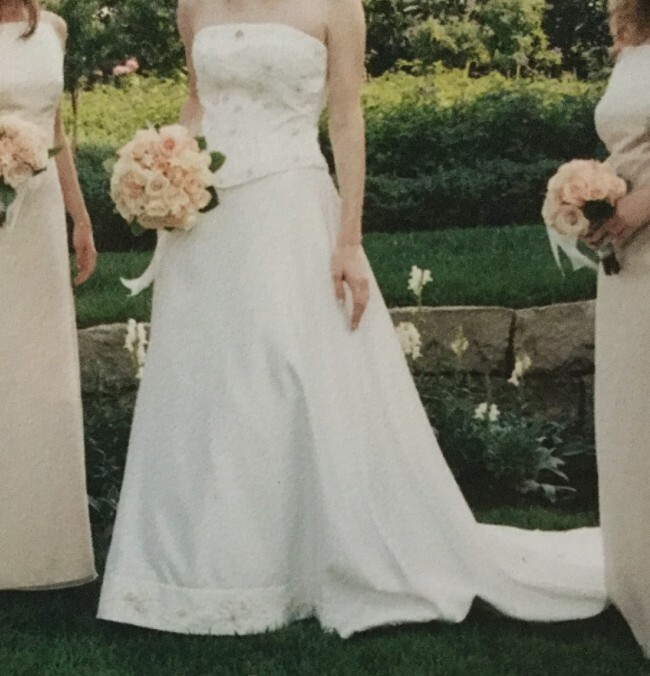 Extra length to accommodate 6’4” bride with 1” heels.